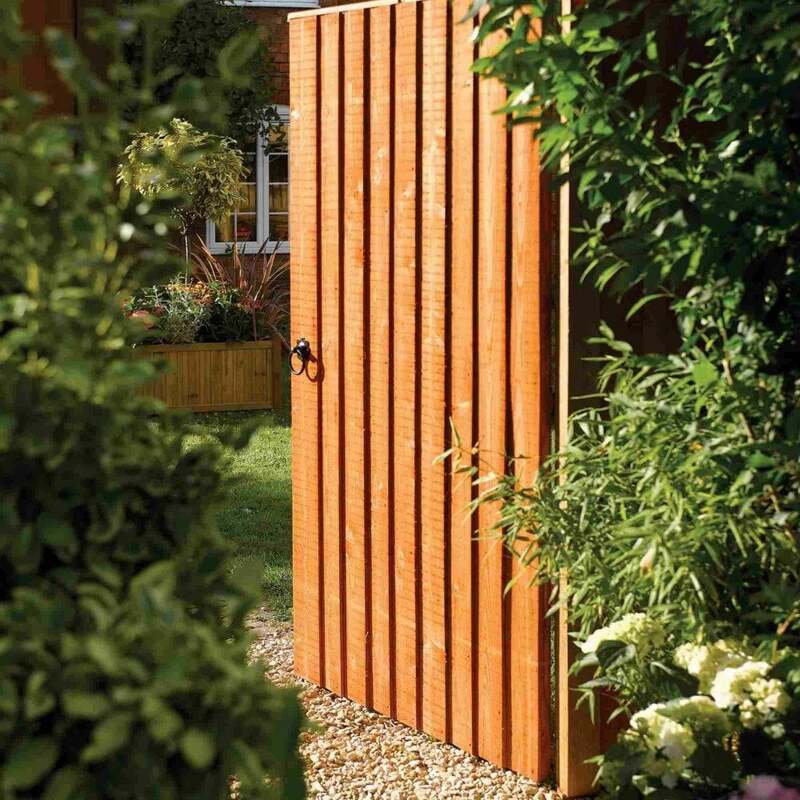 Rowlinson Vertical Board Gate Dip Treated: The Rowlinson Vertical Board Gate features a classic and attractive design, perfect for providing privacy and security to your garden. The Vertical Board Gate has been dip treated in a honey brown finish and will sit perfecting with the Rowlinson Vertical Board Fence Panels for a complete design. The Vertical Gate will hang on either the left or right hand side depending on the layout of your garden.